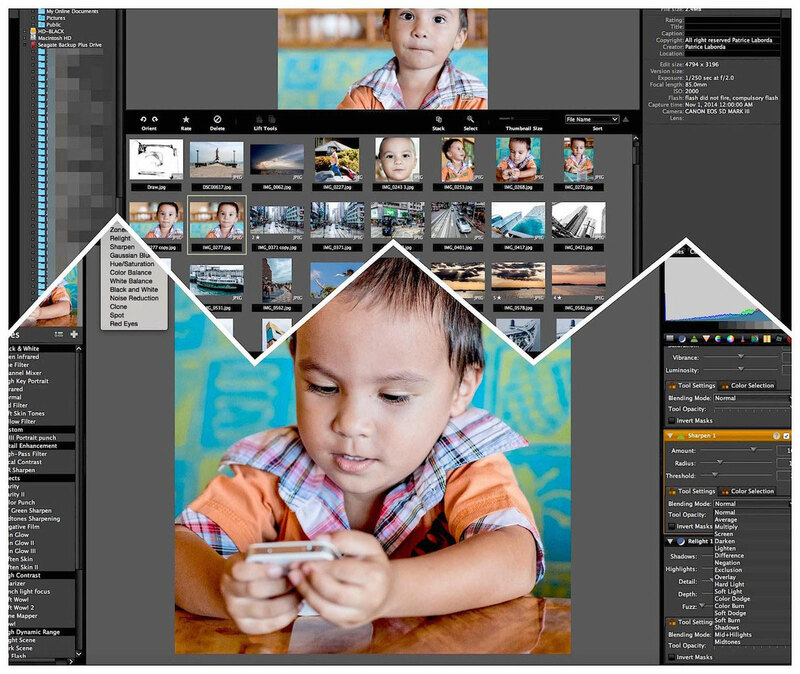 120 Free desktop photo editor's software alternative to Photoshop Lightroom. 120 free images and photos editing software alternative to Photoshop and Lightroom for your desktop are listed (below) with a link to their original website (to be sure that you will download the original photo editing app and the latest update), so if you are searching to download the best of the best free photo editor software or a picture editing application which look like Photoshop or Lightroom or not, here, you can choose between a lot of them. All the reviewed free photos editors are cross-platform, which mean it can be for Mac OS X, Windows or Linux at the same time, even iOS and Android for some. Here we go with a list and a review almost side by side of free photos editors and raster graphics editor to download to your desktop (or mobile phone), all are free photo editing alternative to Adobe Photoshop and Lightroom. 120 Free desktop alternative Photoshop editor, image editing, RAW converter and Lightroom alike. 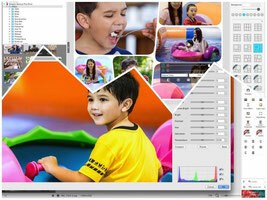 1) LightZone RAW photos processor and free image editor. LightZone is a free photo editing software with a zoomable lighttable, called also lightbox (photos browser, photos organizer and photos viewer) and a RAW photo processor software, which deserve to be a lot more well known. 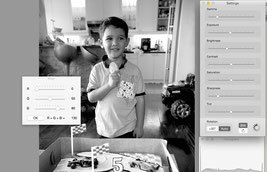 Lightzone has everything you need to retouch and edit your photos. All the editing tools are also able to work locally in the picture. 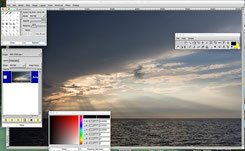 2) GIMP free alternative to Photoshop alike software photo editor. Gimp Means GNU Image Manipulation Program and it might be the most well known free photo processor and editor, image converter and retouching. GIMP is not aimed to beginners, and it is as complex as Photoshop and often compared to it for image composition and image authoring. 3) CinePaint the free image editor alternative. CinePaint is a fork from GIMP and was used in the professional motion picture industry (see Wikipedia). Cinepaint can work with high bit depths 16 and 32 bits color too. 4) Photivo free photo and Raw editor. Photivo is not aimed at the beginners. Photivo free photo and RAW editor is extremely well featured with plenty of tools. If you are very picky on your photo post processing, this is the processing editor software for you, and it can work in 16 bits processing with GIMP. 5) Darktable the free Lightroom look alike alternative. Darktable is very similar to Lightroom with almost the same layout. 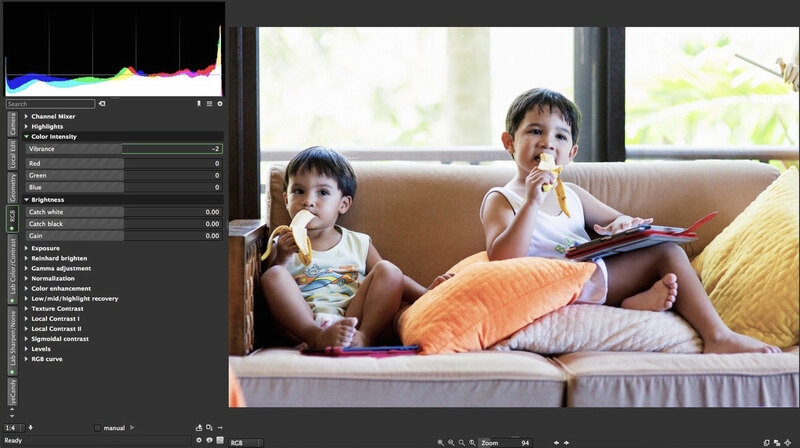 Darktable ergonomics is also very similar to Lightroom. 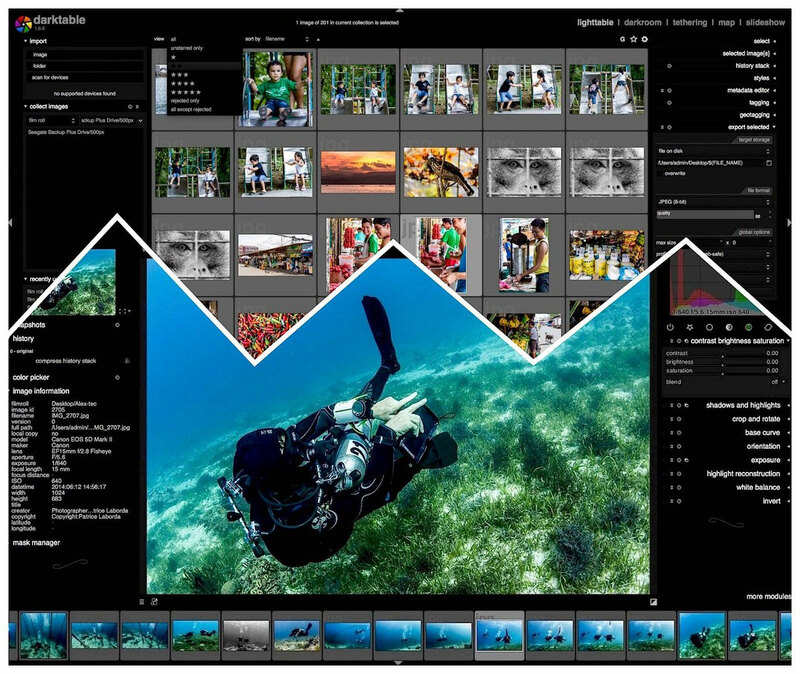 Darktable can manage your folders, pictures and digital negatives in a database with keywords and rating and has advanced photos culling functions. 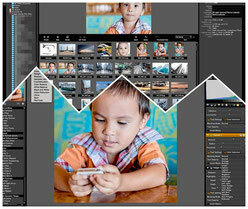 6) RawTherapee free RAW and photo editor Lightroom like. 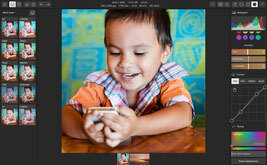 7) PhotoScape free pictures editing, image processing and collage. 8) UFRaw free RAW converter and image editor. 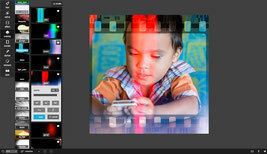 9) Fotor free photo editor, RAW processor, collage, texts overlay. 10) SeaShore free photo editing software. 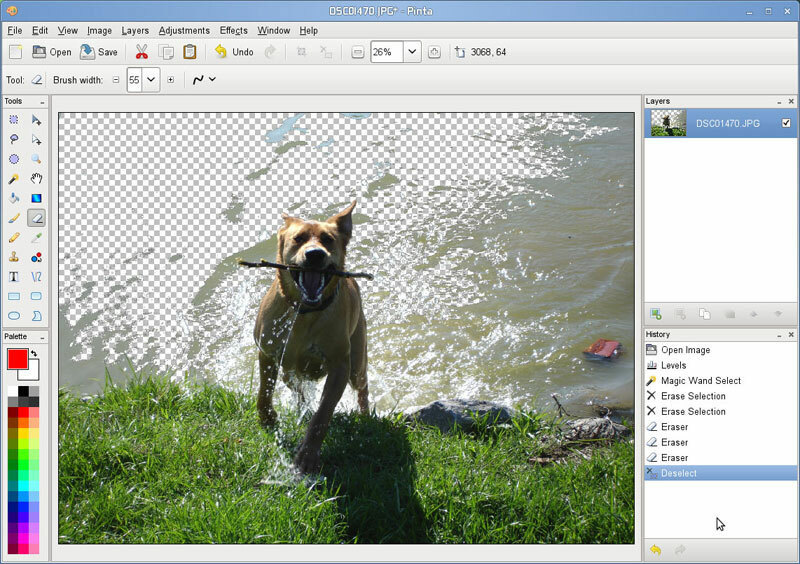 SeaShore is an open source images editor for Cocoa. It features gradients, textures and anti-aliasing for both text and brush strokes. 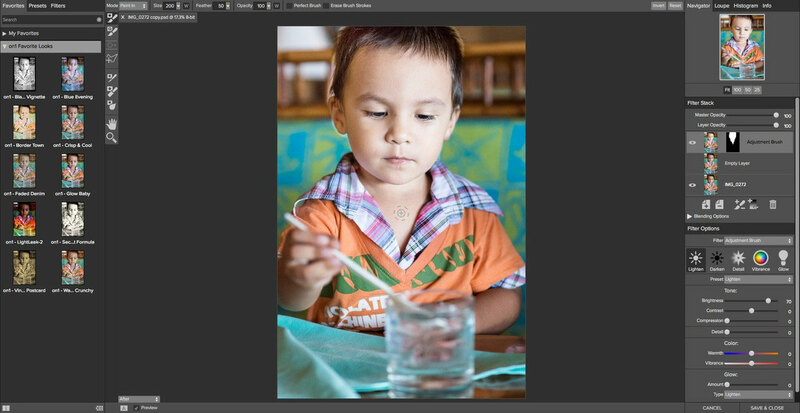 11) Pinta drawing and photo editor program photoshop alike. 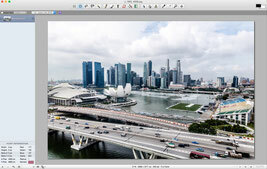 12) Pixelitor a simple and nice free photos editor Photoshop alike. Pixelitor surprised me by it's simplicity, and a very easy to use photo editor with a lightweight Photoshop look, but very well featured with useful photo editing tools. It work in a Java environment, mean it work on many different operating system. For Windows, Mac OS X, Linux and BSD. It is a very efficient free photos editor for desktop. 13) Photo! Editor is a free photo editor to enhance your pictures. Photo! Editor is for Windows, iOS and Android. It have a good basic tools library to enhance your pictures. i didn't tried it, so i cannot say so much about it, just go to the original website and see what this Photo editor is all about. 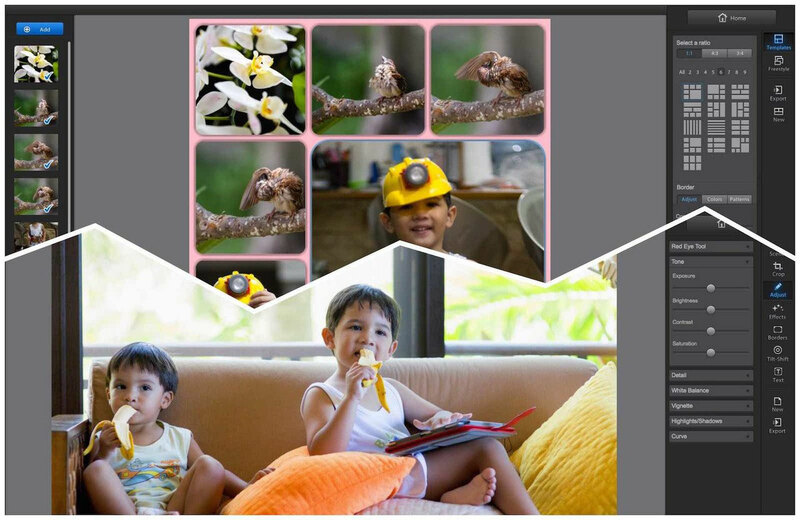 14) Pixlr photos editor, borders and frames maker, special effects. 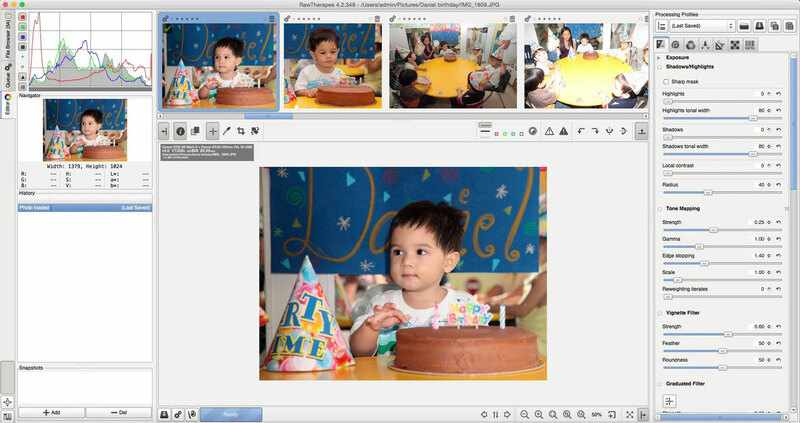 15) XnViewMP free photos organizer and images editor. XnViewMP is an image browser, viewer organizer very fast. XnViewMP and me, it's something like 15 years that i know this one may be the best free photos and images organizer and viewer, and it does many other things very useful for everyday use. 16) On1 Effects 10 Free a photo editor and image retouching app. On1 Perfect Effects 9 Free : is now replaced by On1 Effects 10 Free. The differences between the v9 and the v10 are mainly on the right side of the user interface, but basically, the 2 versions are quite the same for the user experience. 17) Luminance HDR High Dynamic Range image processor. 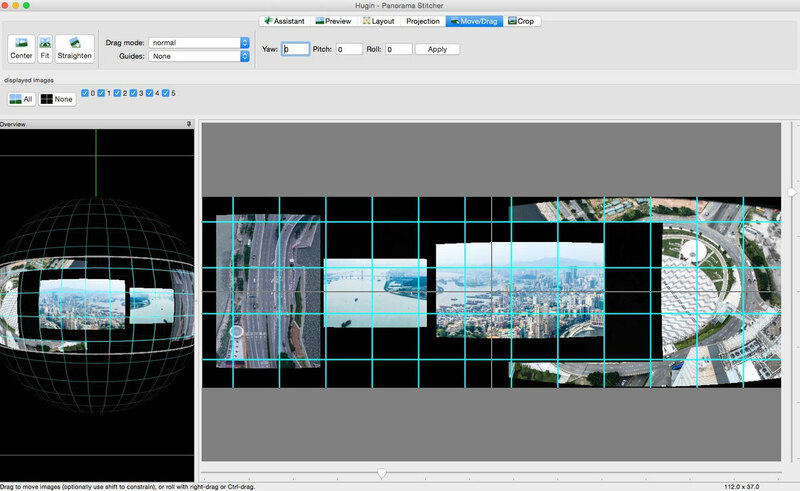 18) Hugin Panorama maker and Photo Stitcher. 19) Fiji and ImageJ2 scientific image processing analyzer editor. Fiji For Mac OS X, Windows and Linux or imageJ2 are the same at the core, Fiji have just more plugins and addons inside. Those 2 scientific image processing and image analysis / image editor are not aimed at the beginners ... at all ! 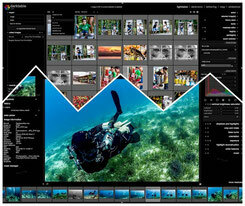 20) Rawker free photo editing and batch processing software. The very simple user interface of Rawker might be disappointing at the first look, but what it does, it does it very well ! Rawker is for Mac OSX. It's a free photo editing software, which has a very simple but effective user interface, and it has batch processing abilities. 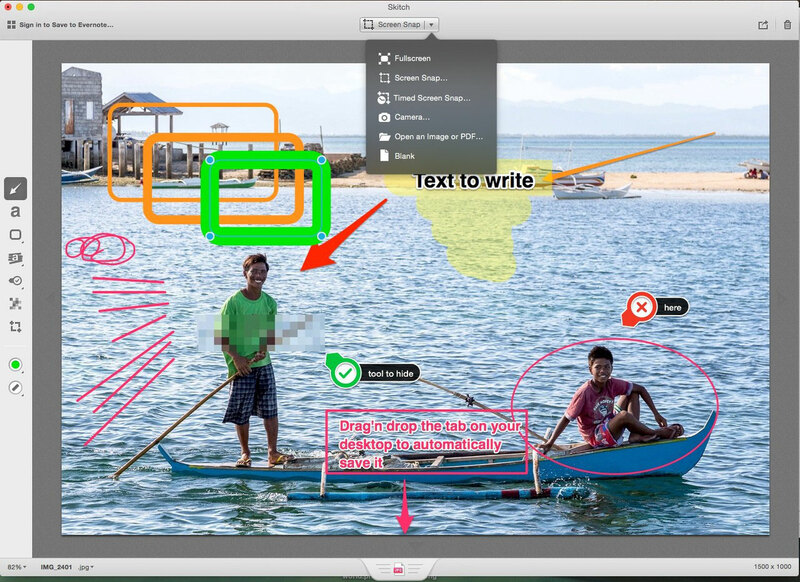 21) Skitch annotation and drawing writing free application. "A Picture is worth thousands words". 22) RPP: Raw Photo Processor. 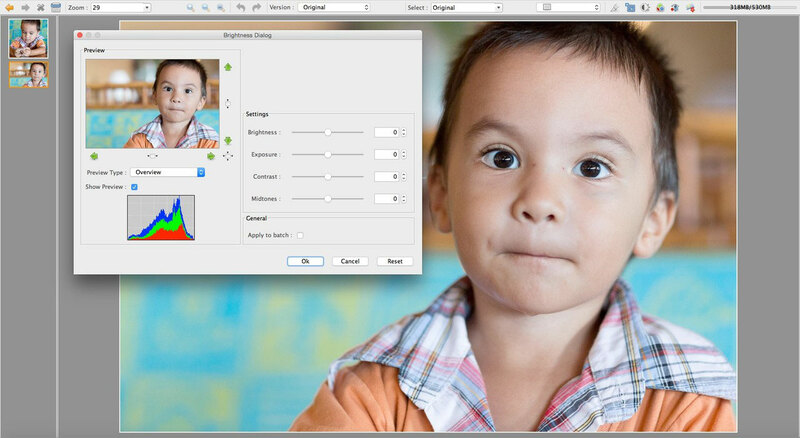 RPP - Raw Photo Processor is for Mac OS X, but might be installed as a Photoshop or Lightroom plugin. RPP is not aimed for beginners and people who like sliders. 23) IJFR : Instant JPEG From Raw. IJFR Instant JPEG from RAW for Mac OS X and Windows. This little software doesn't do a lot, but what it does, it does it extremely well! 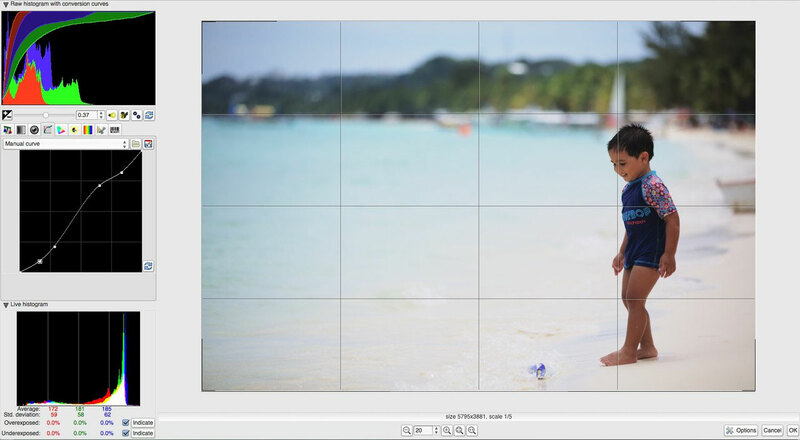 This little application work with the right click on the mouse when you put your mouse on the top of a RAW file or a full folder of RAW photos, it extract the JPEG embedded in it (right click on a RAW picture > JPG). 24) XnRetro Instagram alike old fashion photo effects. XnRetro : For Mac OSX, Windows, Linux, iOS and Android is an Instagram alike for photo effects. 25) Phantasmagoria a simple photo editing software. Phantasmagoria : Run under Java, so it can run on Windows, Mac OSX , Linux and everywhere java is installed. It is a very simple photo editor to go straightforward on your photo editing. i recommend to go first in the "Tools / options" to uncheck "Autoscale when opening" to be able to save and work on your full sized picture. 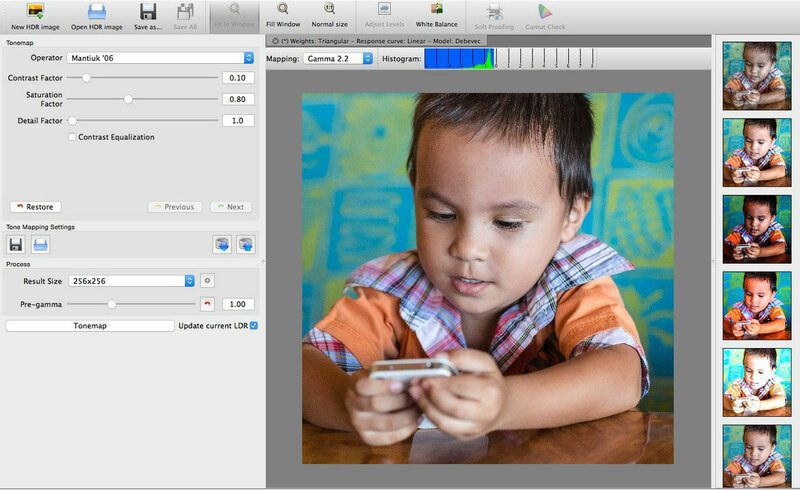 26) SharpShot a very simple photo editor freeware. 27) Polarr a well tooled RAW and photo editor freeware. 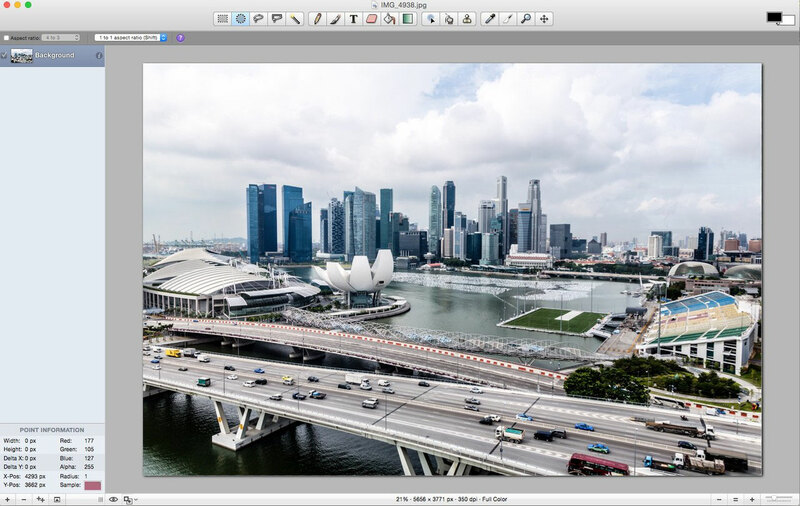 There is a lot more free photos editors or images retouching software out there, but they often are not made for multiple operating system like Mac OS and windows or GNU/Linux at the same time or i am still testing them for the review. I put a list bellow, you just have to click on their name to visit their respective website. 27) HDRtist Free : Mac OS X. 28) Visions : Windows (DAM, manage your photos in 3D, image viewing gallery). 32) Photo Pos Pro Windows (or here). 37) InPixio SuperPhoto Free Windows. 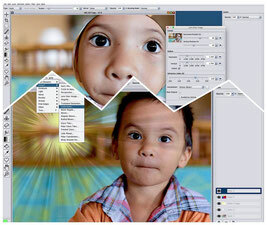 38) Magix photo designer 7 Windows. 39) Funny Photo Maker Windows. 40) Chasys Draw IES Windows. 41) Photo Plus Starter Edition Windows. 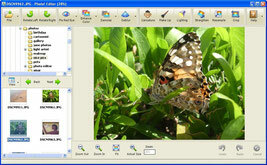 42) PT Photo Editor Free : Windows. 43) Krita : GNU/Linux, Mac OS X, Windows (drawing and painting). 44) Medibang Paint : Mac OS X and Windows, iPad and Android. 45) FireAlpaca : Mac OSX, Windows. 46) Inkscape : GNU/Linux, Mac OS X, Windows. 47) Blender : Mac OS X, GNU/Linux, FreeBSD, Windows. 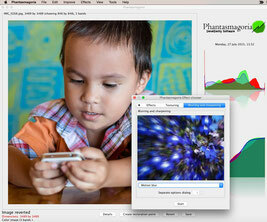 48) Picasa : Mac OSX, Windows. 49) LightBox 2 : Windows (scroll down to get the free V2). 50) Artweaver : Painting and drawing (free for non commercial and education). 51) Imagina : Free Photo Editor. 52) Hornil Stylepix : The lite version is free but seems very already very powerful. 53) ImLab: Windows, Mac OSX, Linux. 54) nps Image Editor : Windows. 55) Photodemon : Windows portable USB too. 59) Vintager : Windows, simple but extremely nice. 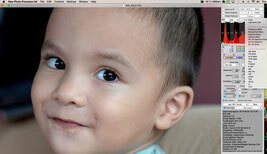 60) Preview : Mac OS X, a way under-estimated photos, image and PDF processor. 61) Shape Collage: Mac OS X, Windows, Linux collage at any shape, written shape. 62) Simple viewer Gallery for your website. 63) Pics Art Windows, iOS Android, collage special effect editor. 64) Picture Collage Maker Free. 69) PC Image Editor Windows. 70) vvvP Multi platform images viewer and organiser. 71) photospills All Windows for collage photo. 72) PixelStyle Photo Editor No more free, it's even becoming a very bad joke now!! 73) Paintbrush For Mac OS X or here. 74) Daz 3D 3D software easy and powerful. 75) HeliosPaint Mac OS X, Windows and Linux/Unix. 76) Image Tricks Mac OS X, photo filters and effects, the lite version is FREE. 77) ArtRage 2 Windows and Mac, super paint and draw app, version 2 is free. 78) Compositor Mac filters and channel effects. 79) FotoSketcher Windows, artistic effects. 80) TwistedBrush Open Studio Windows artistic effects, brushes and paint. 81) KolourPaint Linux-Unix/KDE image editor paint software. 82) ExifRenamer Mac Change many things in the photo exif. 83) GeoTagger Mac, to geotag your photos with google earth. 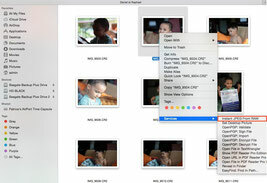 84) GPSPhotoLinker Mac, add GPS and data to your photos. 85) ImageMagick Mac, Linux-Unix, Windows and IOS. 86) iMagine Photo Mac, Works with AppleScript. 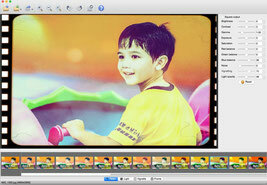 87) iResize Mac OS X batch resize, compress and save photo. 88) Keyword Manager Mac OS X, assign keywords to your photos. 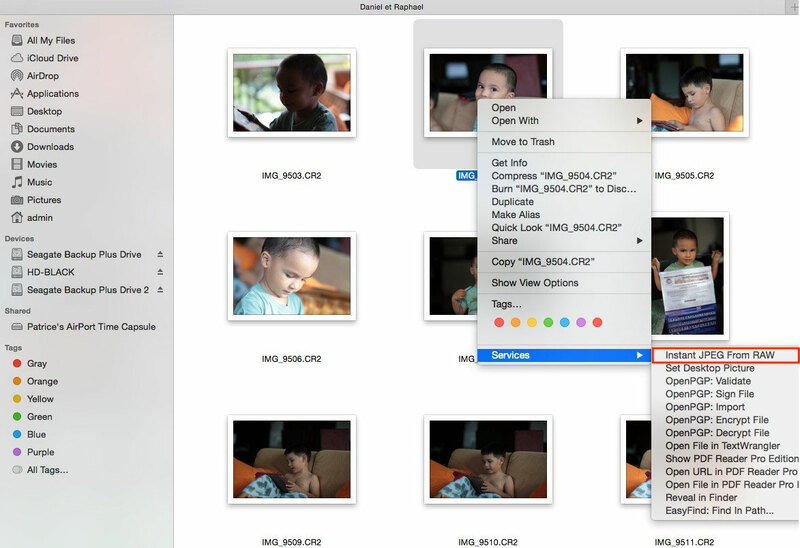 89) PhotoInfoEditor Mac OS X, Edit metadata in the photo. 90) PhotoGPSEditor Mac OS X, Edit GPS info on a Map. 91) PhotoStikies ThumbsUp Mac OS X. 92) Rita Mac OS X, Drawing and paint non restricted shareware. 93) Scaletron Mac OS X, calculator for rescaling, upscale downscale images. 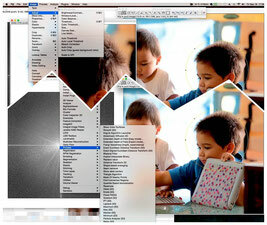 94) ToyViewer Mac OS X. 95) Xee Mac image viewer. 98) LazPaint Windows, Mac OS X and Linux: Paint and graphic stand alone editor. 99) GrafX2 Mac OS X, Windows, Amiga, etc ... Pixel Art, Bitmap paint program. 100) Pencil2D Mac OS X, Windows and Linux, paint program, look nice (scroll down). 101) Acorn For Free Mac OS X (click on the nut to download it). 102) DigiKam Mac OS X, Windows, Linux and FreeBSD Photos management and Edit. 103) Imgv Windows, Need to be a nerd to install on the other OS, it's an Image viewer. 104) SketchBook Free Windows, Mac OS X Paint program. 105) PhotoPad no more free, now it's just 30 days trial. 106) DrawPad Graphic Designer Windows, Mac OS X. 107) Sculptris Mac OS X, Windows digital art and 3D. 108) Wildbit image viewer for windows. 109) Nomacs Image Lounge Windows, Mac, Linux, BSD, OS2 and so. Image viewer. 110) Zoner Photo Studio Windows, Viewer and basic photo edit. 111) MyPaint Windows, Mac OS X(via MacPort) and Linux, paint software. 112) Registax Windows, astronomy photo. 113) DeepSkyStacker Windows, image Stacking freeware. 114) StarTrails Windows, image stacking and astronomy photo freeware. 115) Nik Collection : Mac Os X and Windows, Google Nik are now free. 116) DrawPlus SE Realistic Vector draw software. 117) PagePlus SE Design and publishing software. (see #41 too). 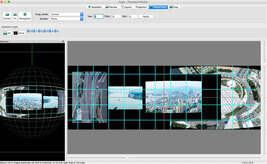 118) PanoramaPlus SE stitching software. 119) Craftartist Compact Digital crafting. 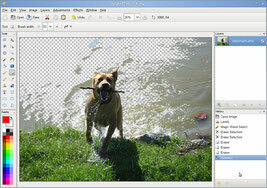 120) PC image Editor Windows free image editor. 121) FreeVimager Windows image viewer, editor and organiser. 122) Algodoo Vector draw and animated physics freeware. 123) Vpaint Vector paint software. 124) DrawBerry Vector graphic software. 125) sk1 Vector graphic and press software. 126) Alchemy Vector graphic software. That's all for today, but be sure i will update this page with interesting free photo editing software and more. Do not hesitate to left a comment or if you know/use some nice free picture editors write it below! And for the last question, you want to know which of all those free alternative to Photoshop, Adobe Camera Raw and Lightroom i prefer ? There is few like Darktable, LightZone, Pixlr, PhotoScape, Fotor and lately the new Polarr, which i truly appreciate for whatever reason each of them has. Seriously, try them all, because after all they are free, and if you want to choose only one, it will be your own choice. Romaric : If I can understand that Linux guys like to tweak, code and compile things, I will never understand why open source coder/programmer often propose only link to compile a program or very hard to find the binaries link somewhere in the text... All those nonfinished programs are a very bad joke for all of us which are not a programmer. If the programmers do not want to propose a properly finished software even if it's free but easy to install for every single one, I will not list it here, and please do not tell me that few command in the Terminal or any other command line is easy, I call easy to install any .exe or .dmg or .ppa without passing by a command line, everything else are made for nerds only and a very bad joke for us non-geek. When i arrive on a website with the big "promo" hard to find where to close it to continue to navigate on the website, then when I am obliged to register to download a trial version, it give me the way of thinking of the people behind this website! which is the bad way!